Built in 1981, by RYSCO Yacht and Supply Company of Blountsville, Florida (hull #51) as the Gaviota. 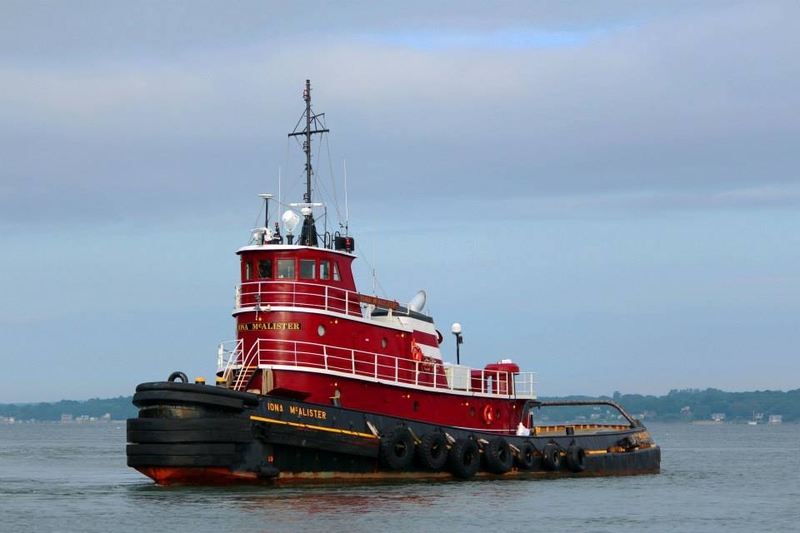 In 1987, the tug was acquired by the McAllister Brothers Towing Company of New York, New York. Where she was renamed as the Iona McAlister. 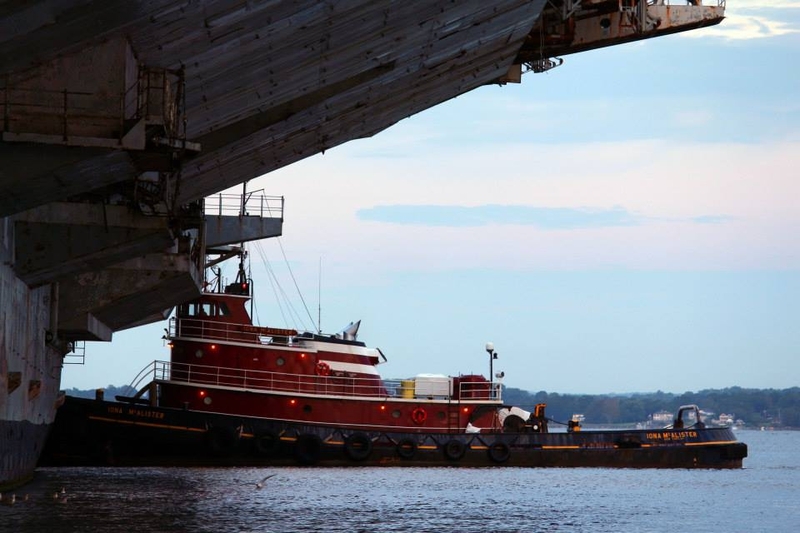 The Iona McAlister is the only vessel in the McAllister Towing fleet that spells the last name with only one "L." It is reported that Iona McAllister, one of William H. McAllister's daughters, and a third generation member of the McAllister Family. Married an individual named John McAlister from Charleston, South Carolina. And whose family spelled their last name McAlister, with one "L."
The tug was transferred to Charleston, South Carolina some years later. Where there was a christening ceremony during which Iona McAlister christened her namesake. She is powered by two, eight cylinder, EMD 16-645-E2 diesel engines. With Falk reduction gears, at a ratio of 4.957:1. 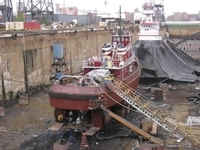 She is a twin screw tug, with kort nozzles and flanking rudders. For a rated 4,000 horsepower. 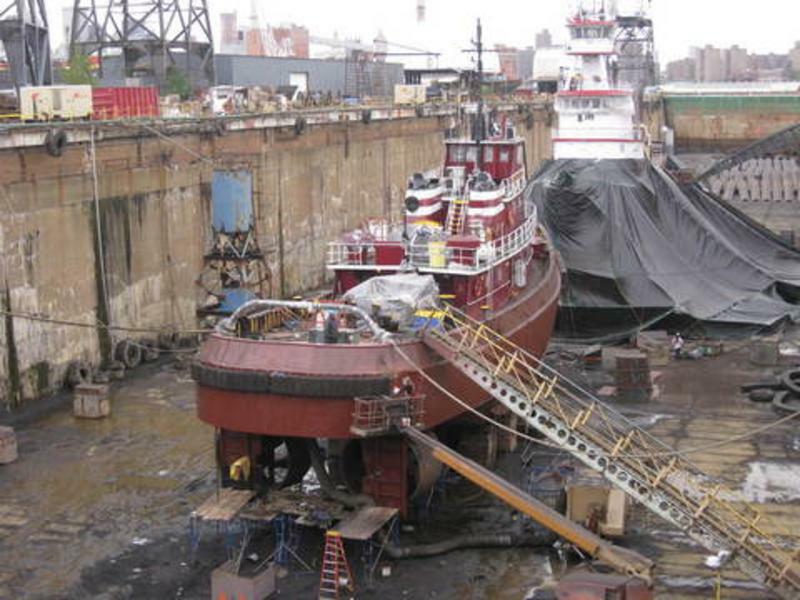 Her capacities are 78,000 gallons of fuel, 1,217 gallons of lube oil and 2,226 gallons of potable water. The tug is outfitted with four fire stations, tied to two fire monitors compatible, with a PC50 national foam system rated at 1,000 Gallons Per Minute. 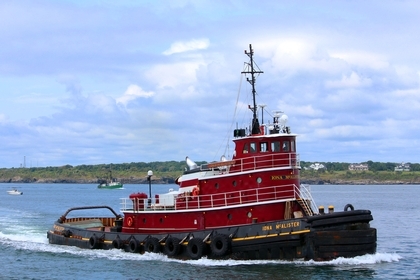 Her towing gear consists of an Almon Johnson, single drum, towing winch. Equipped with 2,100(ft) of 2(in) towing wire. 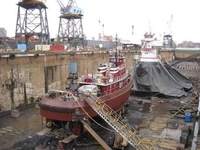 Ship Builder: RYSCO SHIPYARD, INC.